On The Table 2019 is platform developed by The Chicago Community Trust to engage residents in small conversations that build relationships and encourage action to benefit the public good. The Kennedy Forum uses this platform to engage thousands of people in conversations (ideally in small groups of about 8-12 people) about mental health and addiction in their community, workplace or home. The annual initiative combats stigma, generates new ideas and encourages action. Last year we generated over 130 conversations across the state, and we hope you will join us this year. Toolkits: Click here for work-sheets to help you host a conversation. Mental Health America also has developed great resources around Mental Health Month. In 2018, we supported 130+ conversations, reaching more than 2,300 people in six different states, 25 cities, and 65 zip codes. 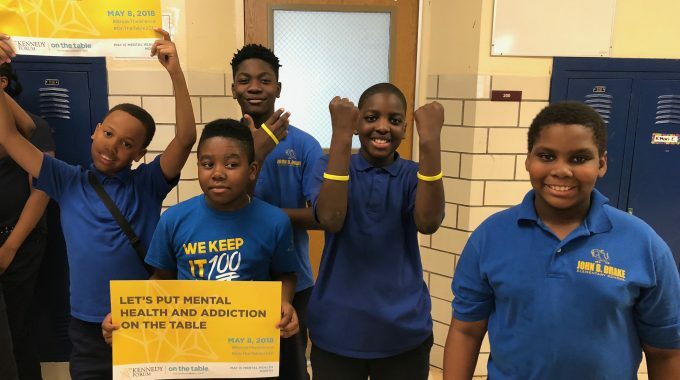 Conversations took place in diverse settings, including 15 workplaces, 20 places of worship, 3 by law enforcement, over 30 on Chicago’s west/south side and Uptown, and more than 10 conversations in schools. Leadership Council member Justice Kathryn Zenoff penned an op-ed that was published in the Rockford Register Star the Sunday before On The Table. You may read by clicking here. U.S. Congresswoman Robin Kelly hosted an OTT event downtown Chicago and attendees discussed issues of stigma, policy, and access. Imerman Angels shared a live video of their OTT conversation that was viewed by over 3,800 people through Facebook. The Kennedy Forum initiated conversations across the far south side of Chicago, including one at a local coffee shop, churches, a hospital, and community based organizations. Further, we hosted a conversation at the Historic Pullman Visitor Center with members of the Greater Roseland Chamber of Commerce and Roseland community stakeholders, helping to inform the future work of the Greater Roseland Community Free Mental Health Training project. Northern Trust brought together over 150 people to hear Eric Langshur speak about training our brains for better performance and happiness. The Kennedy Forum Illinois Board member and Millikin University Professor Mary Garrison led a day of conversations in Decatur. First, with a conversation at the local public library. In the evening, she hosted students and staff at Millikin University for another set of conversations. Riveredge Hospital hosted a “Mind and Soul” event on the intersection of faith and mental illness. 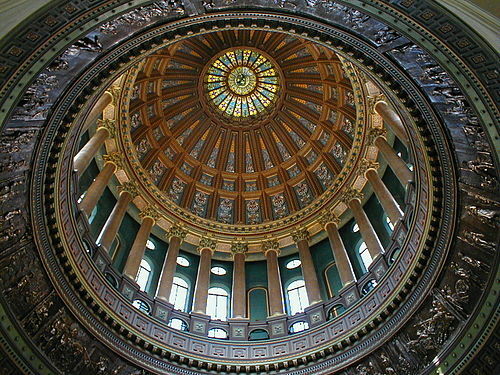 Legislators joined The Kennedy Forum for a conversation in Springfield about Parity and other policy issues. Leadership Council member and Cook County States Attorney Kim Foxx’s office hosted half a dozen conversations. Cook County Commissioner Dennis Deer hosted a conversation in his office. Alderman James Cappleman joined a conversation at Heartland Health Center. Finally, a handful of state legislators hosted OTT conversations in their districts throughout the month of May. View pictures from On The Table 2018. Studies show the best way to eliminate stigma is to talk about experiences face-to-face. 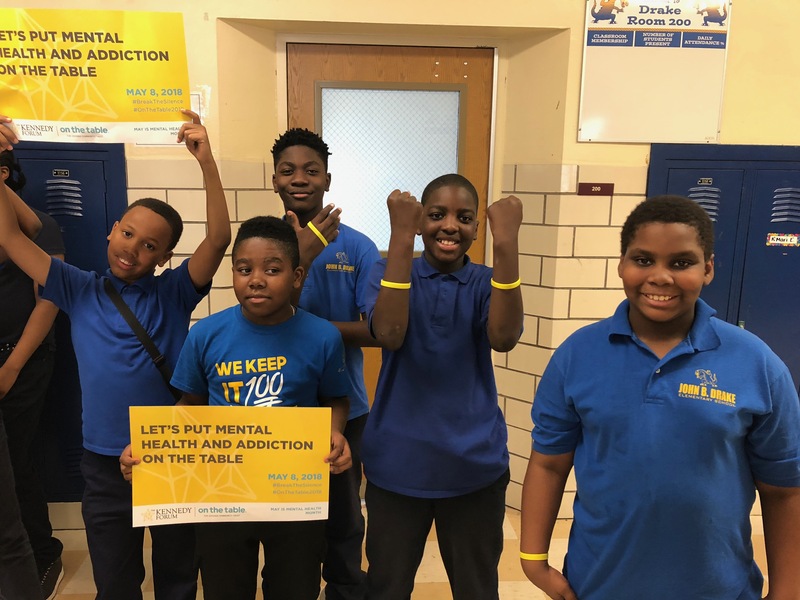 In 2018, nearly 80% of conversations hosted by The Kennedy Forum included someone with mental health or addiction experience. People walk away from these conversations energized to do more. 52% of participants feel more comfortable speaking about mental health and addiction with family members and friends. One in three participants reported a change in perspective. All those who have registered as a host will receive an email with a brief survey. We use this survey to capture the feelings and solutions people uncovered through the course of their conversation. Additionally, we will deliver resources and simple steps people can take to eliminate stigma. Register here. 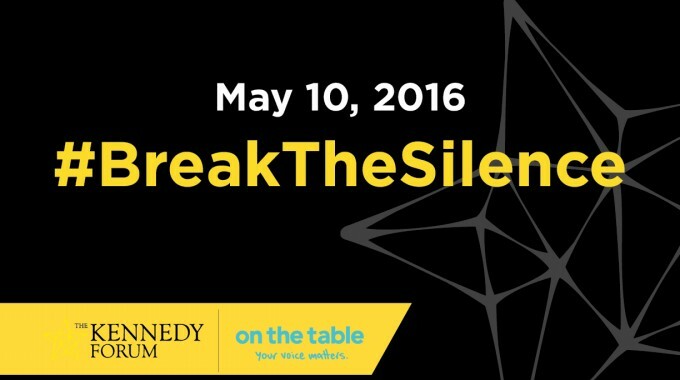 Or call or email James Burns at 312-479-2636 or James@TheKennedyForum.org to learn how to get involved. Join our Facebook Group: Click here to join.